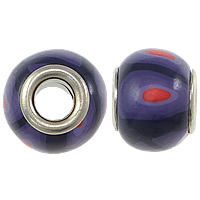 - We deal with various European polymer clay jewelry beads for wholesale like the sterling silver core European polymer clay beads, brass core European polymer clay beads and no core European polymer clay beads. These fimo European beads are very nice for jewelry making especially for bracelet and necklace. 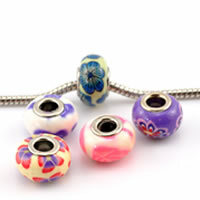 Welcome to check our wonderful European polymer clay jewelry beads and order some you like.